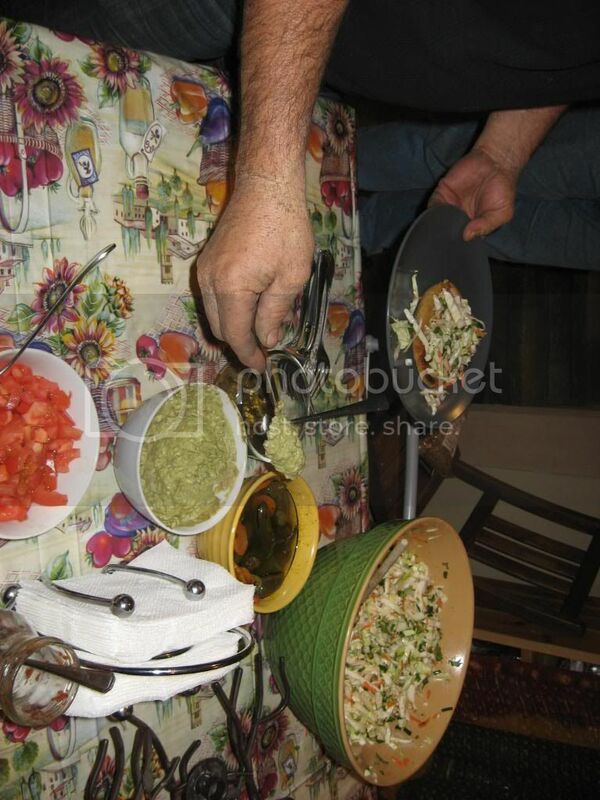 stuffed with a variety of fillings such as cheese, beans, or meat. 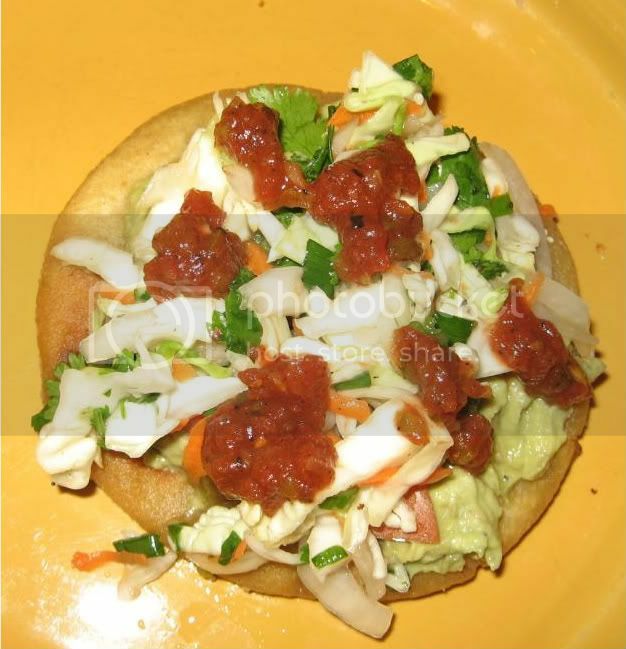 I believe puposas originated in El Salvador but are also popular in Honduras. We recently made a bunch down in Running Springs. Mix the masa harina and stock and knead well. 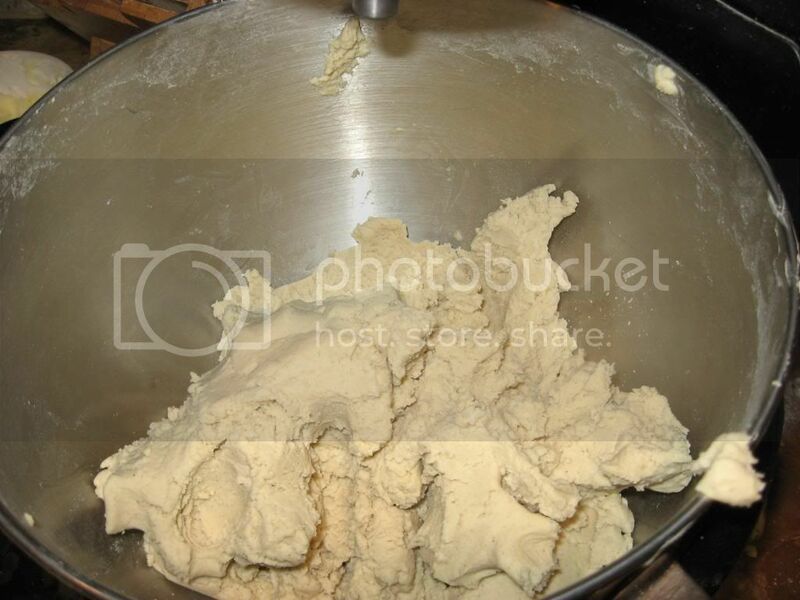 Slowly mix in more stock a little at a time until it forms a moist but firm dough. The dough should not crack at the edges when you press down on it. Cover and set aside to rest 5-10 minutes. Roll dough into a log and cut into 8 equal portions, then roll each portion into a ball. Press a hole in each ball with your thumb so that it makes a small pocket. 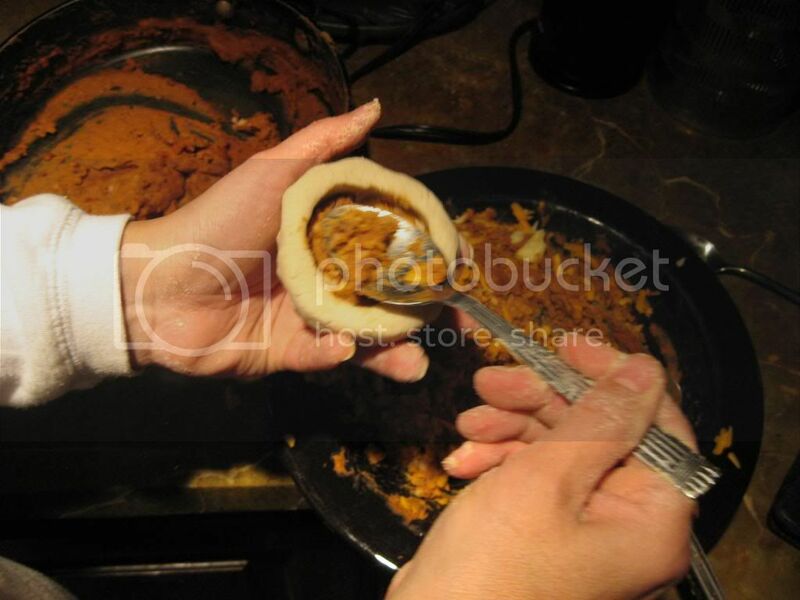 Add 1 tablespoon of your filling into each ball and fold the dough over to completely enclose it. 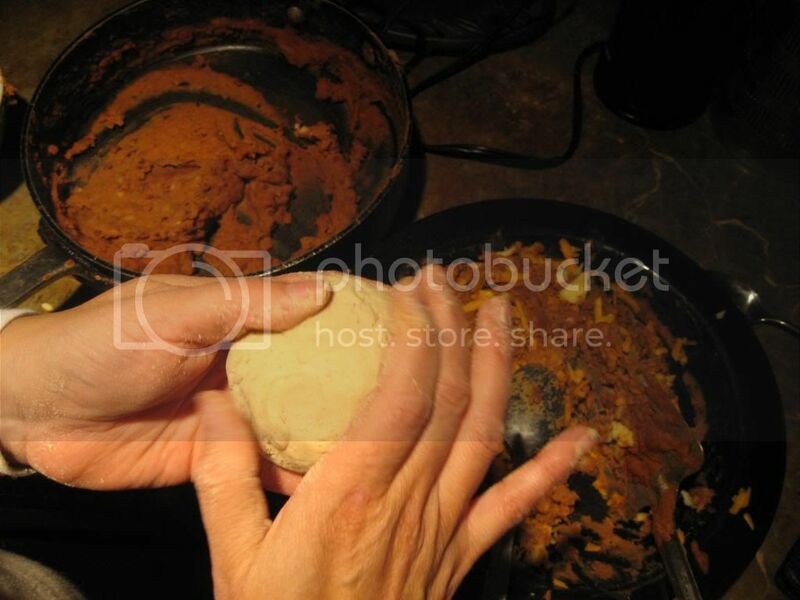 Pat the ball out with your palms to form a disc taking care that that the filling doesn’t become exposed or spill out. Pat out each ball so that is about 5-6 inches wide and about 1/4-inch thick. 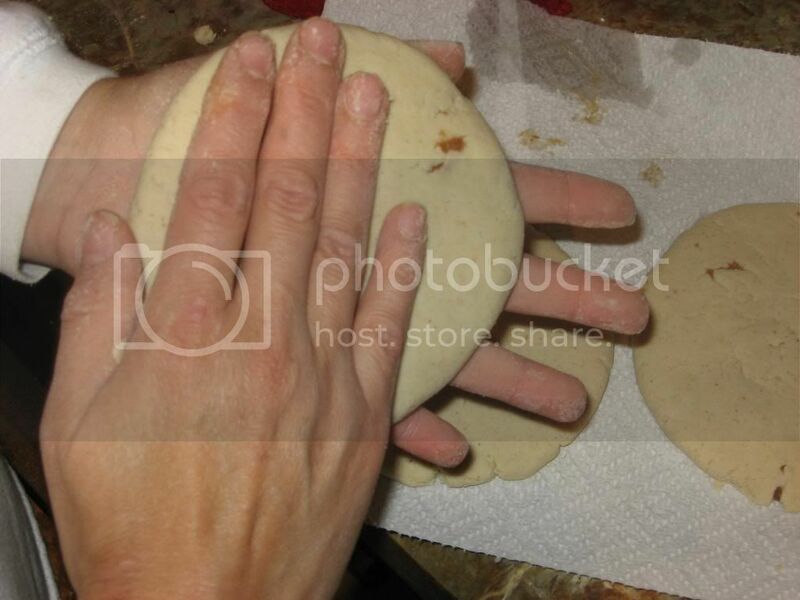 Remove to a plate and hold warm until all pupusas are done. 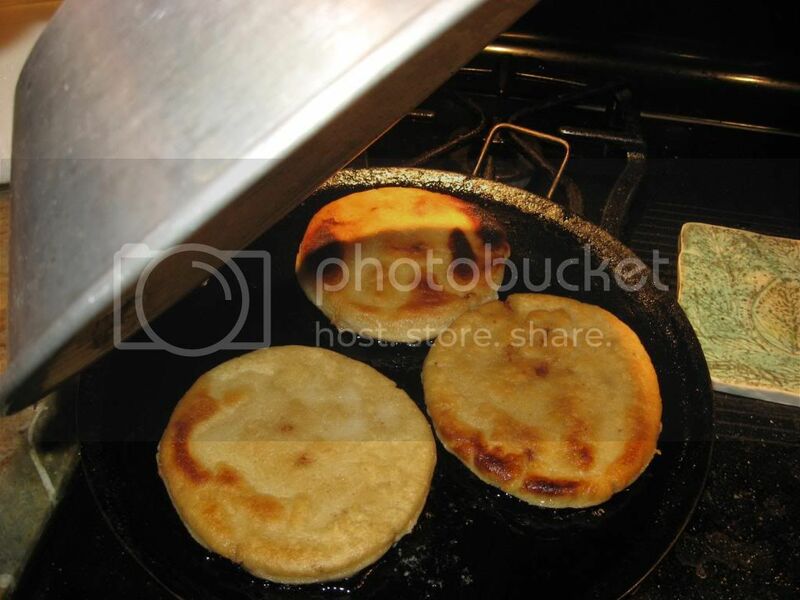 Pupusas de Queso: To create a cheese filing use grated quesillo, queso fresco, farmer’s cheese, mozzarella, Swiss cheese or a combination. 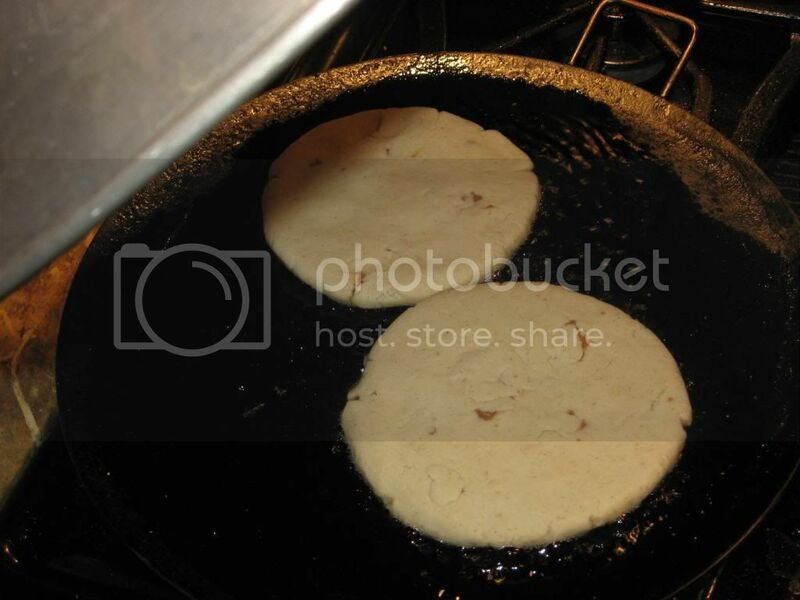 Pupusas de Frijoles Refritos: This is a refried bean filling. We did a combination of chorizo with beans. Mix together and let sit while you are cooking the puposas. 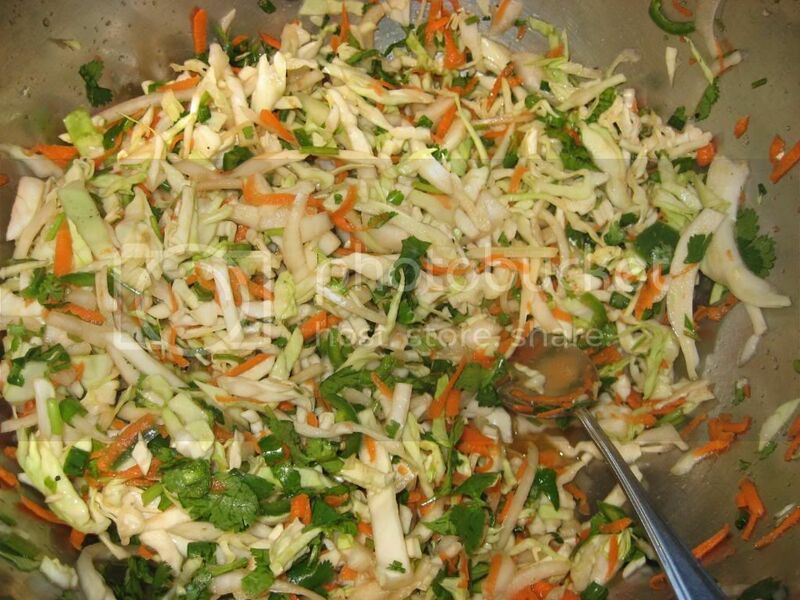 When done, spoon slaw on top of the puposas. I enjoy mine with a dollop of salsa, guacamole–but add whatever else you want! Thank you for reading this post. You can now Read Comments (3) or Leave A Trackback. This entry was posted on Thursday, January 22nd, 2009 and is filed under Baking & Cooking. They are REALLY good. Be prepared to keep making them because once is not enough! I was there baby! and papusas are the bomb! And the way the economy is and how little cost it is to make them we may have to live on them! i’m ok with that!